Whether your dream is to be the next Gold Medalist at X-Games or just like the thrill and excitement of park and pipe these will allow you to pursue your passion. Don't even bother reading this. You should know by now that the Chronic is the original freestyle park ski designed to be bombproof - ready & up for anything your ready to throw at it. This ski is one of Line's longest running models, and for good reason. It is a great all-rounder, and is an exceptional all-mountain park ski, especially on the east coast where the jumps are a little bit less about speed and more about pop. It's supple, super jib-able on rails and very balanced spinning with a center-mount set-up. Note that this ski is a little funky when you get into really high speed jump lines (70ft+) where you need a ton of speed to clear the gap. The ski tends to 'chatter' at speeds over 50mph. Exceptional park ski, so versatile all around the mountain. Light, poppy, and comes around with snap when spinning. Holds great on rails too. Pros: user friendly, playful, makes good days better! 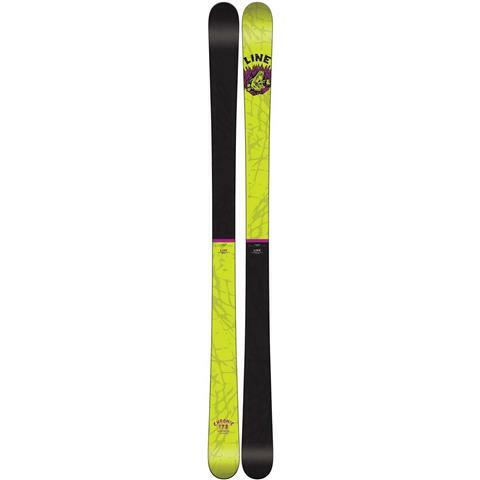 Wow, this is an awesome ski for anyone that wants to ski all mountain and even shred the park. Perfect for east coast riding along with hitting big jumps and rails. Perfect all around ski!